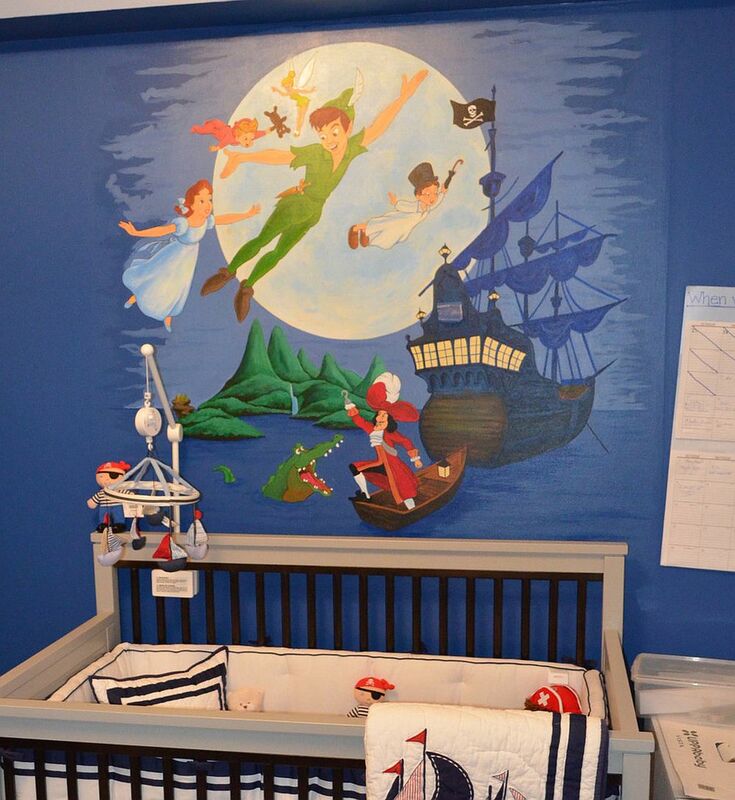 Having a kid really changes your perspective on life, and in more ways than one. 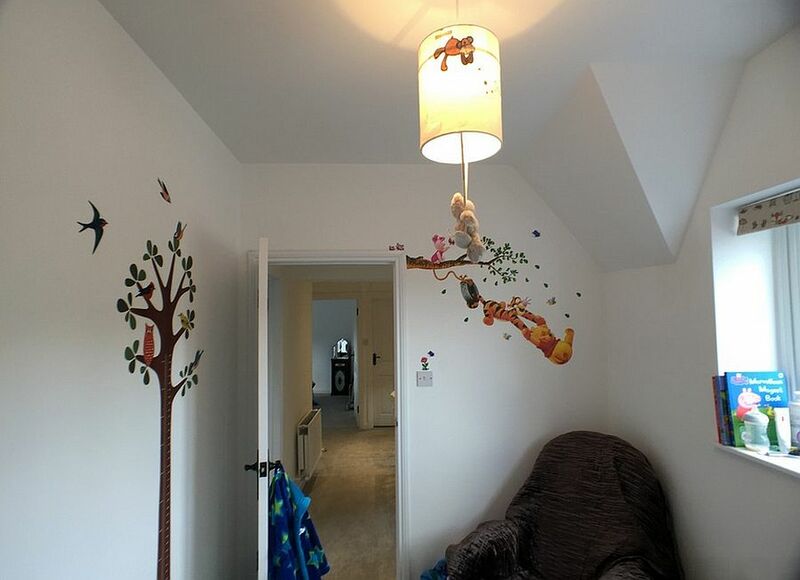 There will be plenty of times when it will seem all too hectic to handle, and then there will be those moments when you are captivated by their every little move! 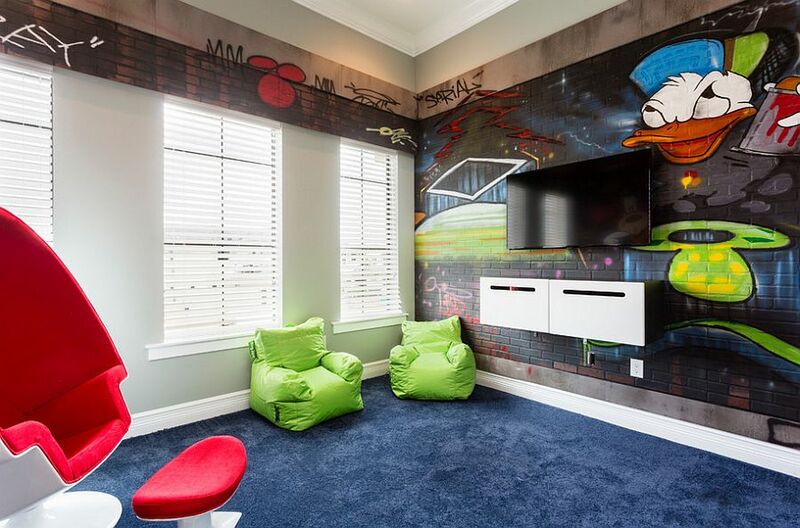 With their active imagination and ingenuity, kids often end up building their own worlds inspired by their favorite movies, superheroes and cartoon characters. 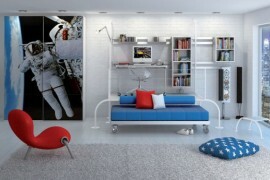 It is a delightful universe full of fun, boundless energy and endless possibilities. 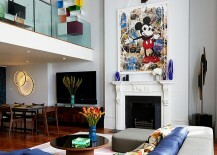 Frankly, many of us find it too hard to keep up! 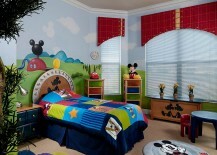 Why not gift a backdrop to match this constant fervor with a bright and brilliant Disney-themed setting? 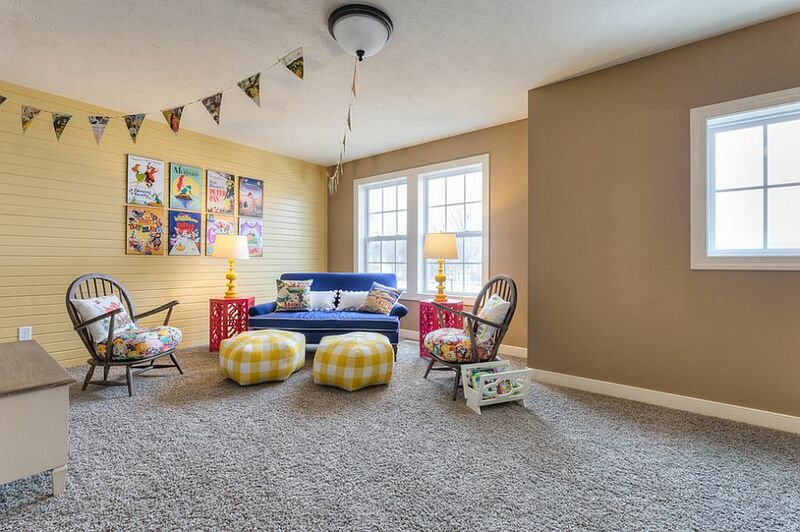 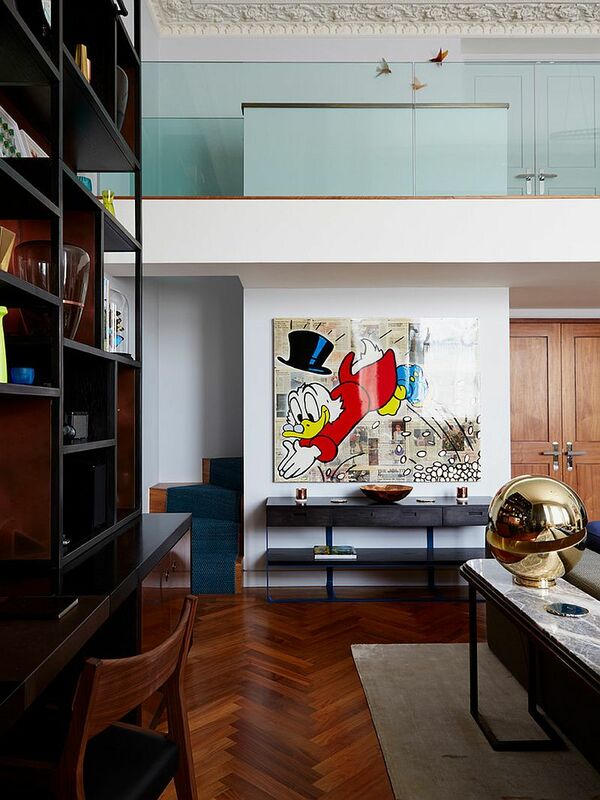 While it is the kids’ bedrooms and playrooms that often embrace the Disney magic, your contemporary living room or even the cozy family room can benefit from a hint of this cheerful goodness. 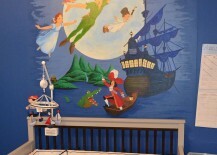 Today, we have a lineup of 25 such inspirations that will surround you in timeless Disney charm. 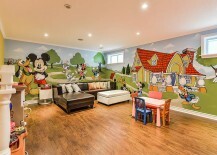 It is absolutely amazing that despite the wide array of colorful characters and all the cinematic magic unleashed in the last 7 decades, it is still Disney’s fun-loving mascot, Mickey Mouse, that still remains the most popular among kids across the globe. 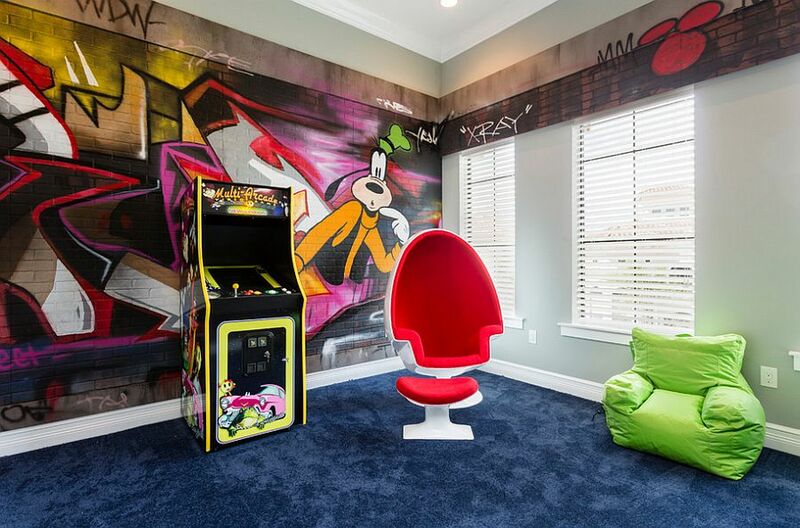 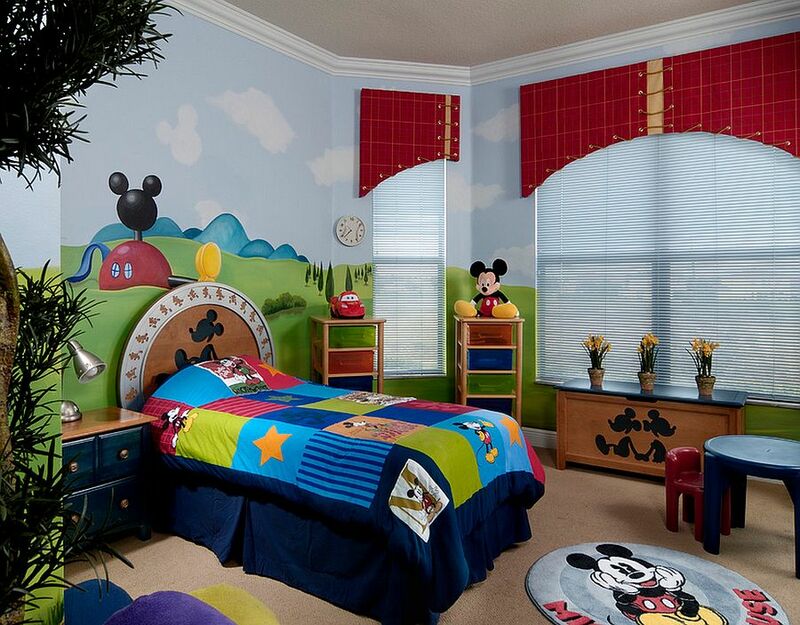 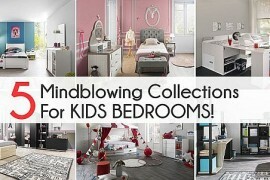 Mickey-themed rooms constantly top the kids’ bedroom trend charts, and it is indeed an easy theme to work with. 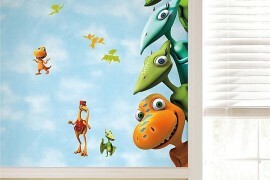 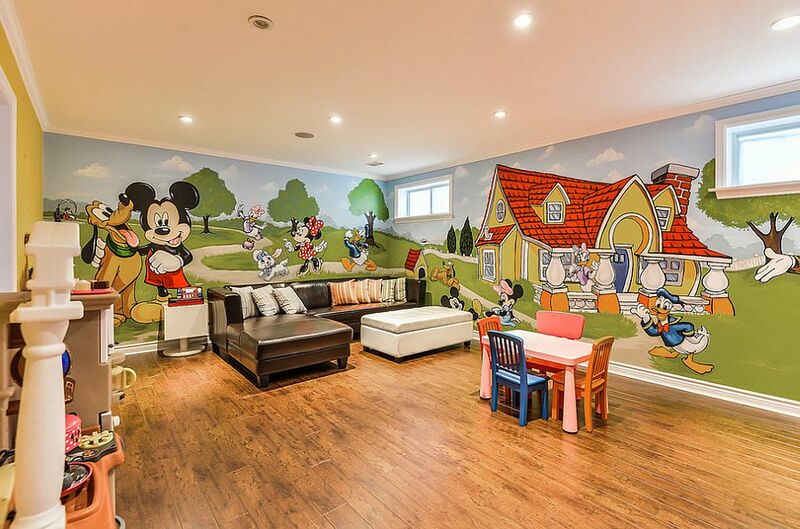 From wall murals of Mickey to the lineup of his friends including Donald and Pluto, Mickey and Friends can easily transform those boring old walls into a delightful backdrop for the kids’ room. 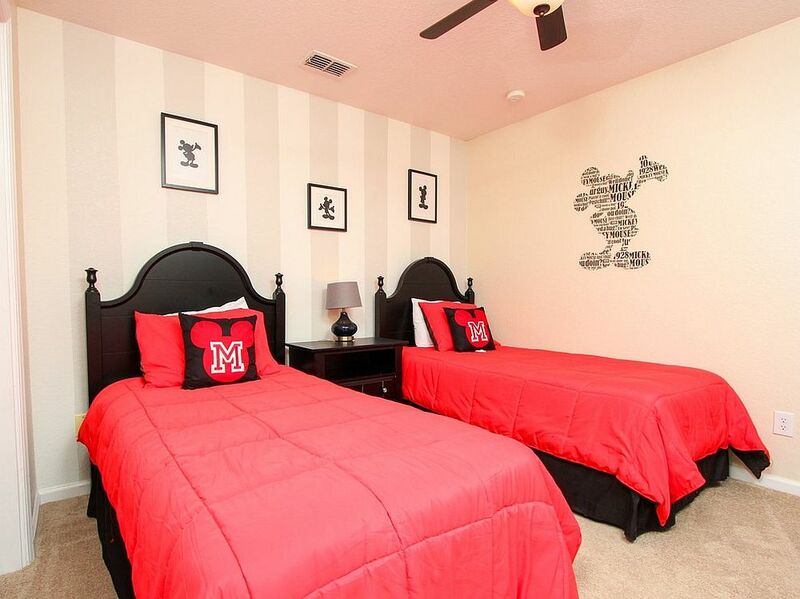 With Mickey-themed rooms, one of the advantages you have is the color scheme, which includes vivacious red, a touch of black to anchor the setting and pops of yellow as well. 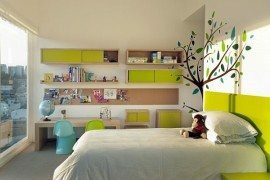 Matching bedding and accessories further accentuate the theme and create a kids’ bedroom that is both inviting and exciting. 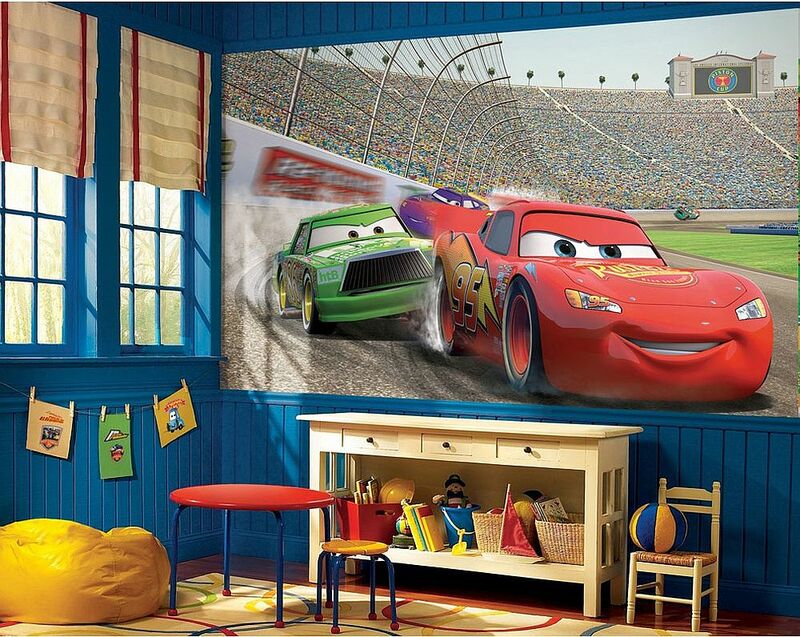 Large, modern wall art pieces inspired by Disney characters can also be used in the living room or dining space to add color to an interior that is otherwise drab and lifeless. 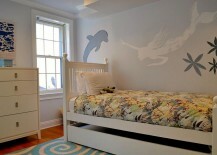 If you are still a kid at heart, you will absolutely love this approach! 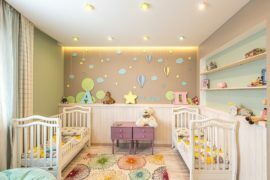 One of the biggest problems that most parents face when turning to custom themes with such bold details is the lack of flexibility that they come with. 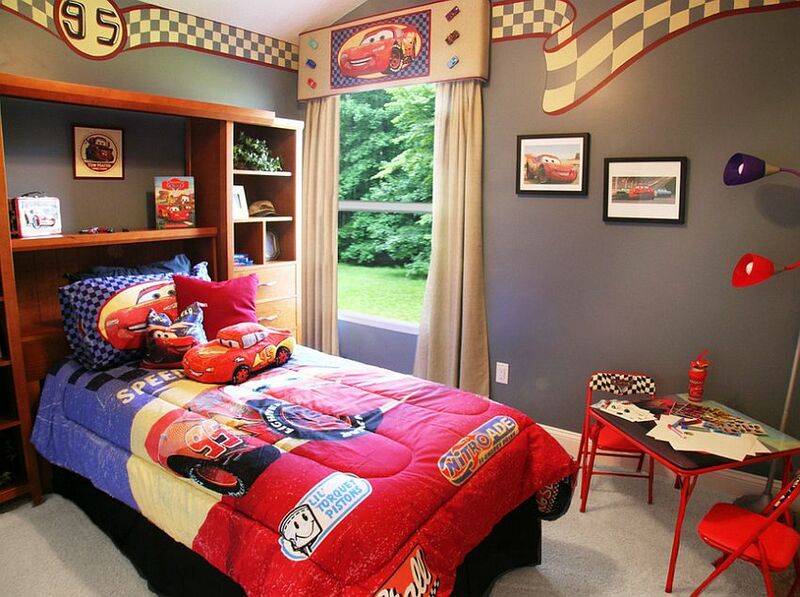 The perpetual fear of “what if my kid dislikes this bold theme just 6 months after spending a fortune?” is a fear that all of us share. 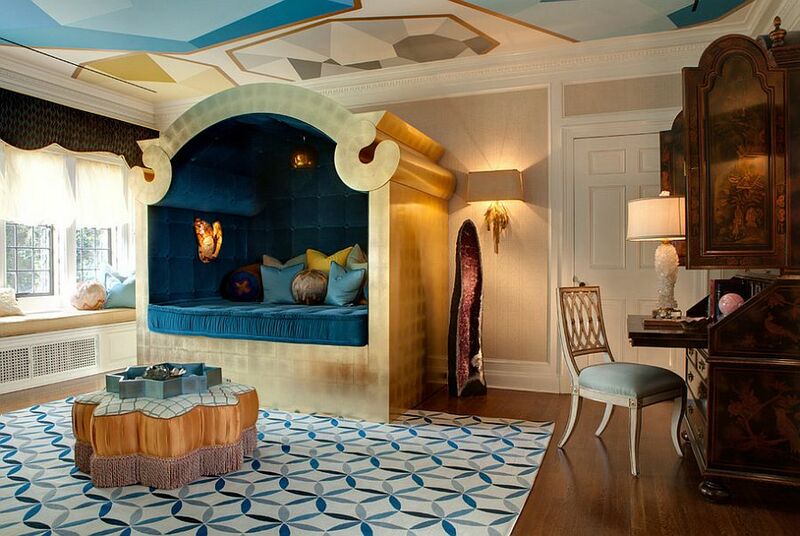 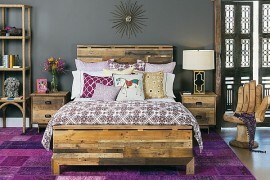 The gorgeous rooms below teach you how to revel in that Disney-inspired magic without actually committing to it fully. 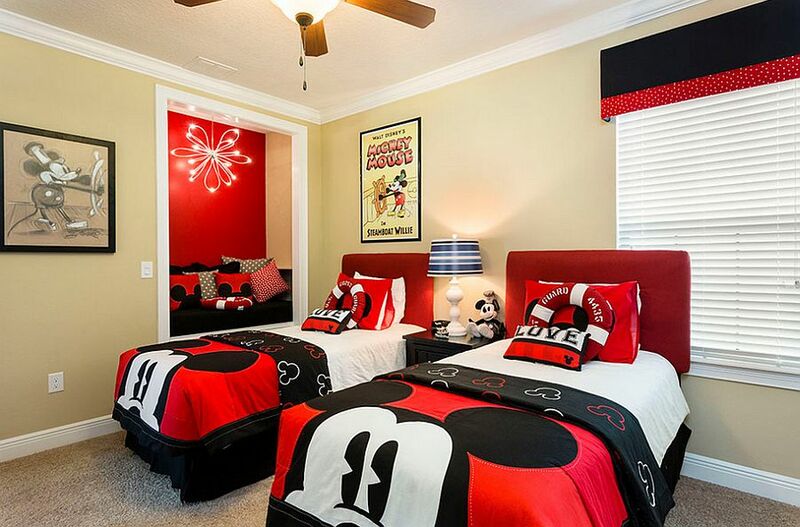 A home study with pops of red, a polka dot backdrop and a few Mickey-themed accessories, a classy bedroom in blue inspired by Disney’s Frozen and a stylish playroom with movie posters showcase some of the ways in which you can subtly bring in the Disney look without going overboard. 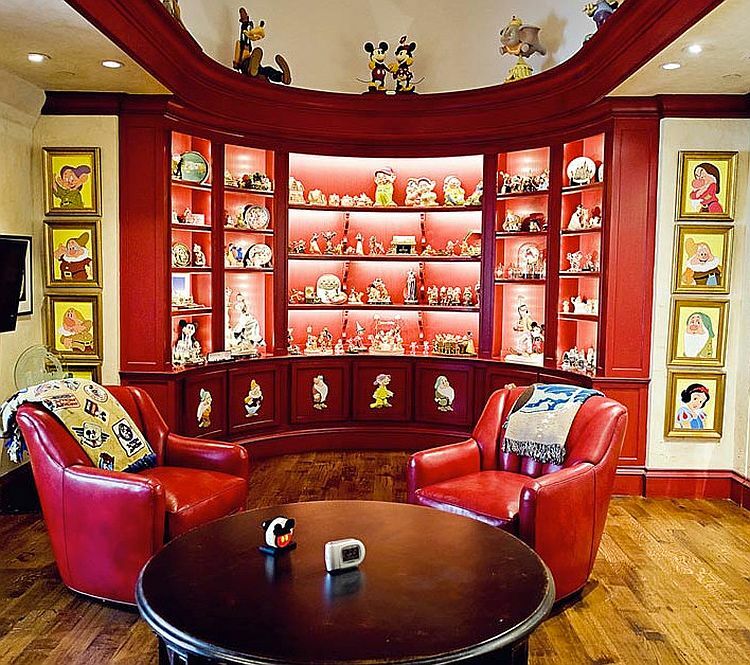 Can you name all the famous characters and movies created by Disney spanning the last 6 decades? 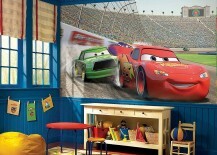 Probably even those who consider themselves experts in the world of animation would struggle with that! 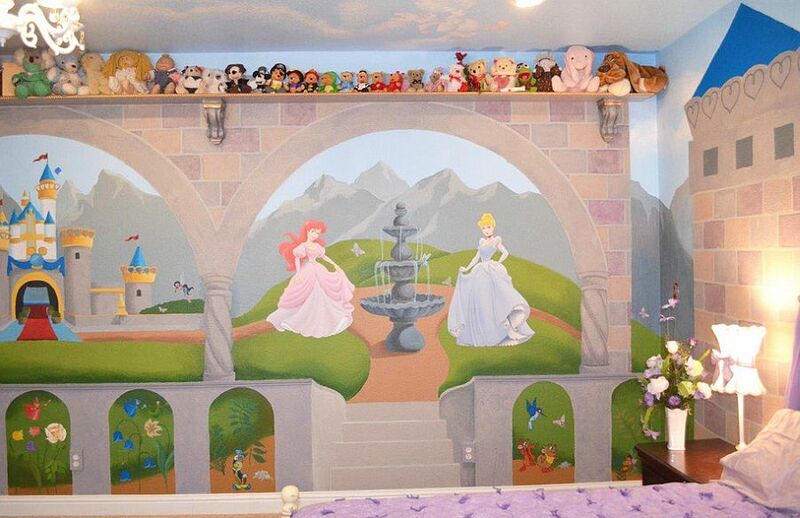 This is precisely the amazing array of choices that you have while talking about Disney-themed rooms. 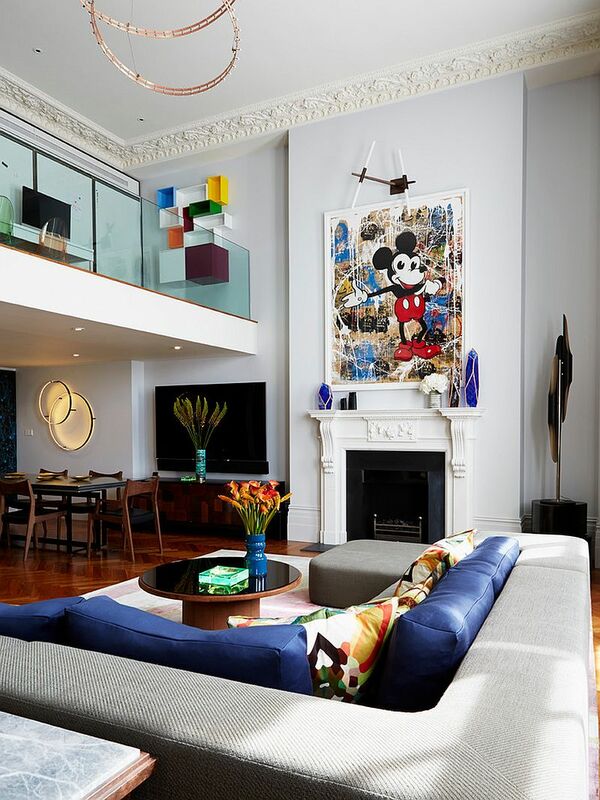 From fairytales and classics to nature-themed delights, from the African Serengeti that comes alive in the Lion King to the fast-paced and quirky world of motor racing in Cars; there is plenty to pick from. 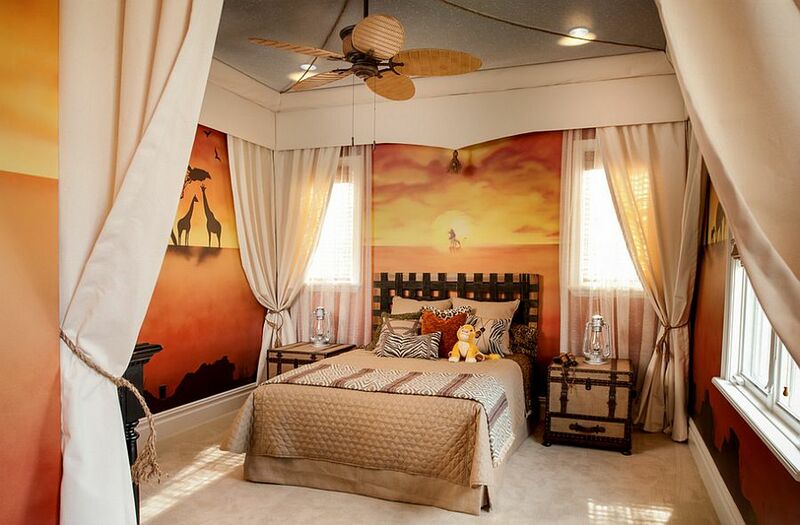 Wall decals, posters, wallpapers and custom graffiti are often the best way to set the backdrop, and you can add additional layers with matching bedding, drapes and accessories. 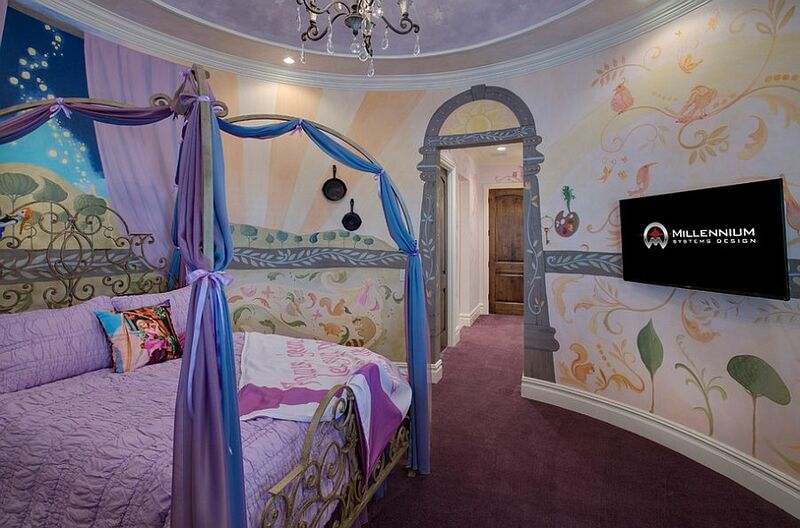 You simply cannot escape the princess-style bedrooms when talking about magical rooms that are borrowed from Disney’s stunning celluloid creations. 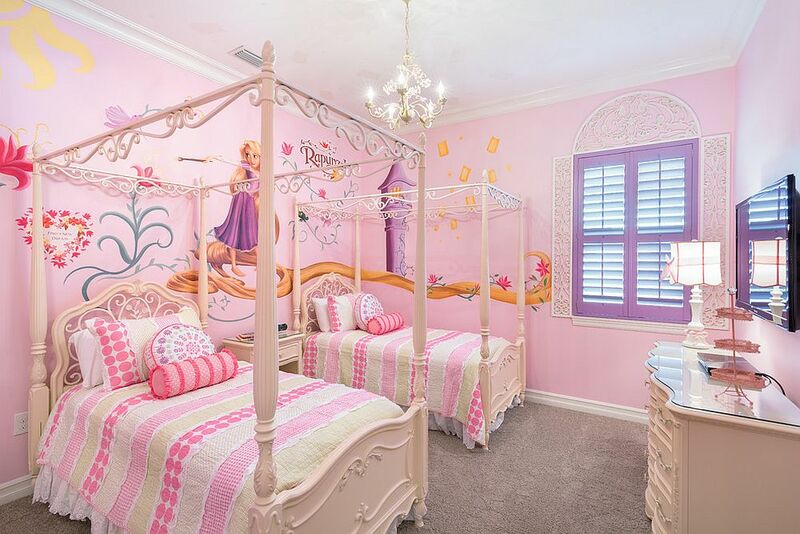 Rapunzel, Cinderella, Tinker Bell and other characters not only enliven the space, but bring in chic colors such as pink and purple to craft a visually spellbinding room. 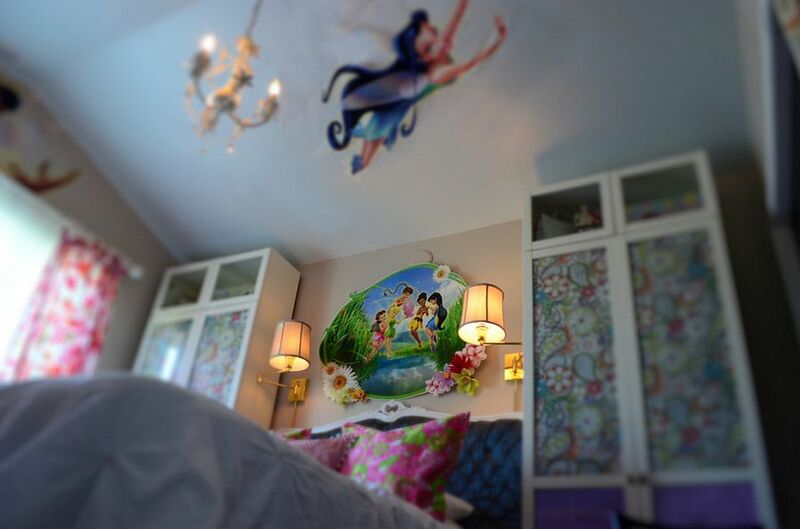 Princess-themed bedding, dreamy lighting and a custom bed can complete this mesmerizing girls’ bedroom. 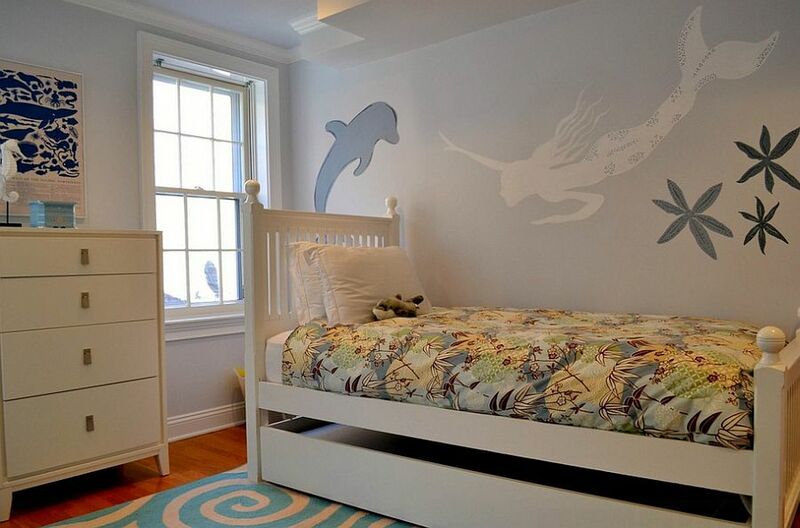 Sure, this takes plenty of work and will cost you a lot more than your typical girls’ bedroom, but the final result will be well worth the effort.